Another month in the books and I’d say that I’d rank my month at about 5 out of 10 for achieving what I wanted to achieve. That’s pretty disappointing and as is my way, everything is my fault, so I need to rally and have a better March. Let’s get to where I ended up against the KPIs. The big thing I focused on with traffic for February was building the Facebook Group, continuing to publish my emails as posts and trying to drive my Udemy students to my website directly or via the FB Group. I’m pretty happy with the growth in the Facebook Group and in particular the engagement rates. As Facebook tighten up on their organic reach algorithm, having an engaged group is super important if you want that channel to be successful. The FB Group grew by 200% in February and engagement according to my Facebook Insights was up by over 1400%. That’s pretty cool. More importantly, this drove my site traffic up as well. Site traffic between February and January was up by over 114% and that’s even with February having 3 fewer days. If you do a 28-day comparison, it’s up by 150%. Social media generated traffic was up by over 540%. The disappointment was organic traffic was flat. I didn’t put much effort into anything SEO related, so that’s just a case of getting EXACTLY what you deserve. Over the next couple months, I really need to work on this part with some new content. 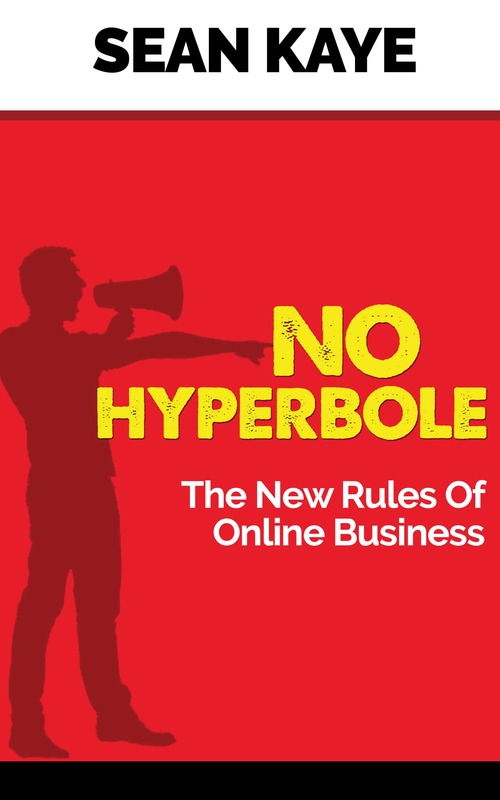 But, last month I said I wanted to crank up the traffic and start moving the needly in the right direction, so you can’t complain when you double your traffic in a month. As I mentioned last month, this area needs to grow and I have a pretty aggressive target to achieve by the end of the year. It was a funny month for my email list. The “engagement rate” is higher and I noticed more optins, but when I checked it the last couple days, my list growth is still flat. Digging a bit more, I didn’t see any surge in unsubscribes or anything, so I went a bit deeper. What I discovered is that last week a bunch of email addresses had soft bounces which means that their email service provider rejected the email for some reason and eventually ActiveCampaign will retry those a couple times before flagging them hard bounced which means they are dead email addresses. That was kind of weird, so I’ll give it a couple days and see what happens. I’m pretty aggressive with cleaning out bounced email addresses because I send email so regularly, that’s a good practice to keep your domain reputation clean. Either way, the same status as last month, I need to do more work to grow my list. While Udemy is about as close as I have to a “passive” revenue stream, it’s something that I am going to dedicate more time to in 2018. 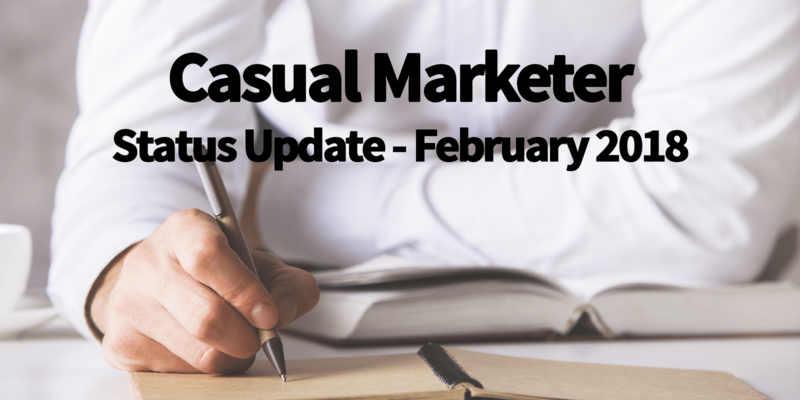 I’ve got a new course strategy in mind that will dovetail with my overall plans for “Casual Marketer Academy”, but that’s probably a few months away from coming to fruition. In the interim, I’m engaging my nearly 80,000 students a bit more via educational emails to invite them to the Facebook Group and send them links to things getting posted to the Casual Marketer blog. From an income perspective, February was pretty good. The trendline is moving in the right direction and despite there being no major promotions by Udemy this month, it was a good month. In fact, it was about 20% higher than I was expecting, so that’s a positive outcome. In February, I switched a lot of my overseas payment details for affiliate programs and everything to using my TransferWise’s Borderless Account. That allows me to give vendors a US, UK or EU bank account so they can do direct deposits and then I can transfer it back to Australia at a very low exchange rate. It’s awesome for saving fees which can run between 5% and 9% of your total earnings when you factor in predatory hedging by some companies and banks. When I went into my KDP account, I hadn’t updated it in a long time. We have some old Kindle books we published like 5 or 6 years ago and it appeared as though all of my tax information was out of date. I spent five minutes updated that tax info for them and then switched my Kindle accounts to my TransferWise payment details. And then I didn’t think anything of it. Two days later, I wake up to all of these emails about transfers being made to TransferWise and when I checked, there were literally hundreds of dollars sent to me by Amazon. I guess because my tax info was out of date, they’d held my payments and I had a cheque from the UK that hadn’t cleared for like $150 that they cancelled and resent the money. And speaking of unexpected, I mentioned TransferWise in one of my Weekly update emails and put an affiliate link in without thinking too much of it. About a dozen people signed up to TransferWise using that account and within a week four of them had transferred the pre-requisite amount required to enable me to get paid a commission. So from an affiliate revenue perspective, I had a couple of unexpected windfalls that pushed the number up. I can’t expect that next month, so more consistent work is going to have to go into building up this stream with some good content marketing. So, it was a passing grade for the month, but really not great. I was happy with my traffic growth, Udemy was good, the affiliate number was great albeit a bit of a blip and the email list was much slower than I would have liked. I am flat out on a project at work right now, so that’s tiring and distracting, but hopefully once that’s done, I’ll get a few days to take a breath and hammer into some of this stuff to make March a better month. But overall, progress is being made and while I’m not “happy”, I’ve set some big lofty targets for myself, so these things are relative.